Tree Service Syracuse eliminates stumps with a few methods: grinding them down and physical removal working with a backhoe. In grinding, we utilize a stump grinder to essentially grind the stump below the surface of the soil - getting rid of its appearance completely. In stump removal, we employ a medium sized backhoe to dig the stump and large affixed roots completely out of the ground. Ordinarily, just commercial developments where stumps would hinder some part of building or development, do clients elect to have stumps physically extracted. Removing a stump with this specific approach is costly and creates harm or damage to the surrounding area. 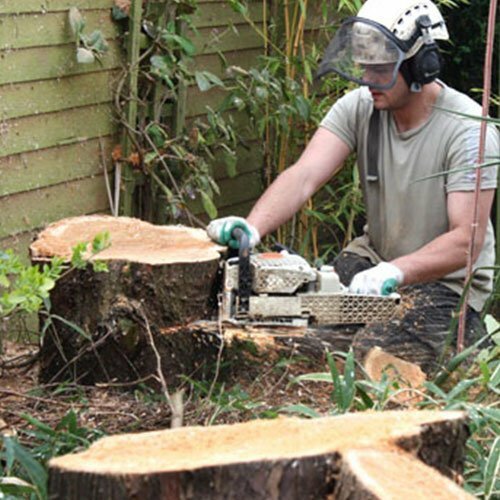 Stump grinding is the customary way ninety-five percent of our client go when they desire to remove the appearance of a stump in their yard or landscape. In these situations, we use a Vermeer stump grinder to grind the stump down to about 5 to 8 inches beneath the ground - down significantly enough to clear away its appearance in addition to enabling grass or other plantings to be grown directly above it. Each and every stump can differ in regards to its challenge to grind. This is actually due to the fact that different tree varieties, as well as the age of the stump itself, governs how challenging the stump will be to ground. A new hardwood stump, like Oaks and Maples, are actually the most challenging to grind. Much older conifers, for instance, Cedars and Pines, are the simplest stumps to grind. The age of the stump may likewise determine difficulty as more recent stumps are a lot more resistant to grinding than older ones. And, naturally, the absolute size of the stump will certainly also be a variable in the grinding process. However, irrespective of the variety and age of the stump, we can get rid of virtually any stump with our state-of-the-art Vermeer stump grinders. Ultimately, we will clean up the whole area of debris and wood chips, which in turn can additionally be utilized as mulch or compost. Our team can also, for a supplemental cost, replant the location with grass seed or turf. 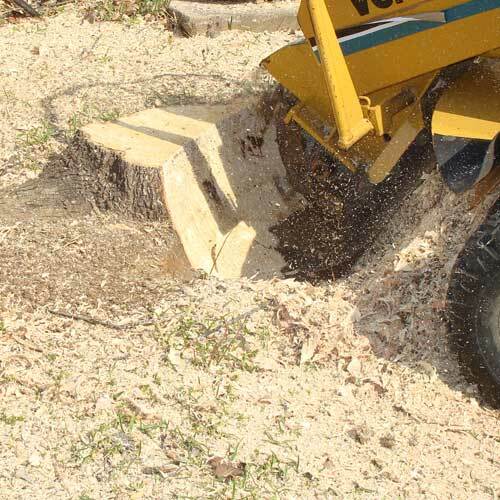 This particular stump grinding procedure ordinarily takes from between 40 and 120 minutes, being dependent on the nature of the stump in terms of variety, size, and age. Stump grinding is always dirty, however, we go the extra mile in taking preventative measures to reduce the mess as well as thoroughly cleaning up what mess does happen. Inquire about our multi-stump savings if you have over one stump you want ground. 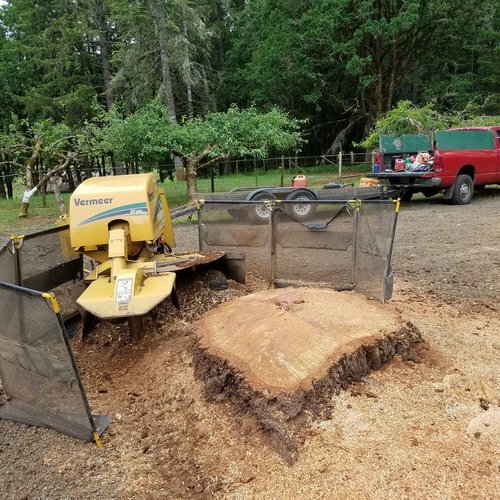 We additionally give price cuts on the purchase of numerous tree care services, such as removal, trimming, and also stump grinding.